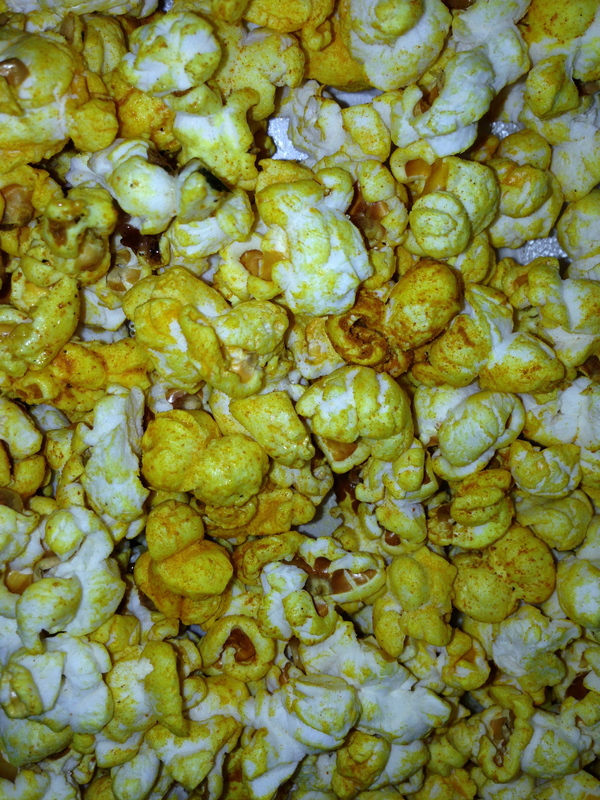 Nan-made Recipe: Turmeric PopCorn | Plan. Shop. Eat. Live. Really . . . I’ve been trying to stay away from corn, popped or otherwise. Perhaps I’ll slowly venture back to the golden kernel. Love the new look of the blog. See ya soon. I am so impressed with your daily dietary choices! Bravo! This popcorn sounds really good – I must try one day. p.s. I’m very envious of your night out with some of the Kripalu gang…wish I lived closer! Anyone going to Kripalu in November to the Cambell/Esselstyn weekend? I am! Hi Mary-Margaret- How was that weekend? I’m struggling a bit with the diet. Looking for some inspiring stories, I’m sure you’ve got one or two. The get together of 5 of us turned into only 2: Laurie, my roommate and myself. We talked and laughed the whole time, it was great! Things are busy both at work and home but if one doesn’t make the effort, one looses touch. Thanks so much to Nan for keeping this up.